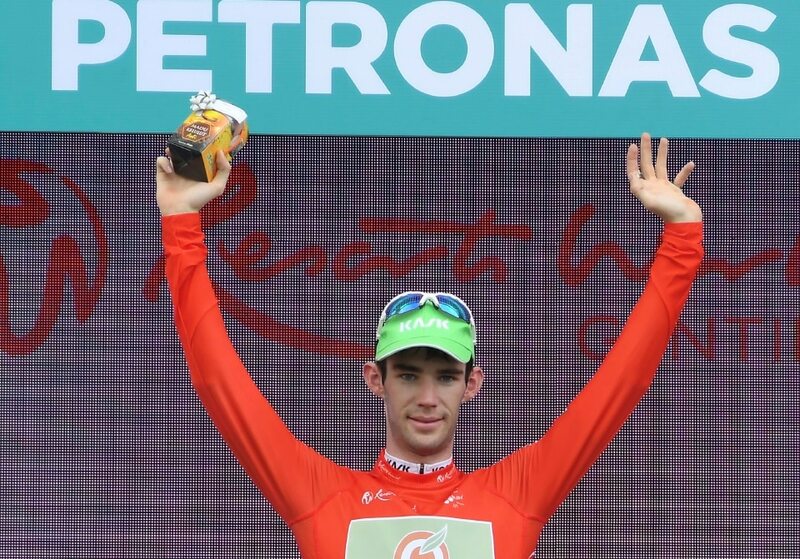 Ballarat boy Angus Lyons has continued his impressive run of climbing form, winning the King of the Mountains classification at the Tour de Langkawi in Malaysia. It is Lyons second successive KOM classification, backing up from winning the same classification at the Tour de Tochigi in Japan last month. The Oliver’s Racing team made a strong impression in it’s debut “HC” race, the highest possible ranking of event the Continental level outfit can participate in. Stage 1 saw Lyons join teammate Brendon Davids in a breakaway of over 140km, which put Lyons into the lead of the King of the Mountains, and Davids into the lead of the Sprint classification, and into second place overall in the race. Davids would eventually fade from the high placing in the race overall on the decisive stage 4 Genting Highlands stage. But Lyons continued to build on his lead in the KOM classification throughout the race, being present in brekaways at key points of the race, and picking up minor points with the help of his teammates on days in the peloton. Lyons held the red jersey from day 1 all the way to the finish, with a commanding lead which became mathematically impossible to beat on the penultimate stage of the race. The 23 year old never faltered, scoring points on all but 7 of the 19 classified climbs, to win the classification by 32 points over his nearest rival.